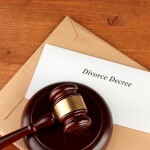 Home Divorce Law Does It Matter Who Cheated in a California Divorce? I can’t tell you how many times I’ve had someone come into my office and ask if they can get more money, child custody, child support, spousal support, or the family home because their spouse cheated during their marriage. When you are involved in a divorce proceeding, it is common to want to assign blame to the other party as a means to explain why the divorce is happening. The end of a marriage can occur for a multitude of reasons, and when the other party is at fault due to infidelity, you might feel compelled to present this information in court to obtain a judgment in your favor. However, you might be surprised to learn that if your spouse cheated, it does not affect their rights under California law. 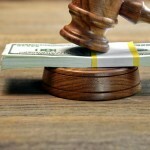 The reason the faithful spouse is not entitled to more money, property, alimony, etc., is the California Family Law Act of 1969, which provided that California family law courts adopt the “no fault” system. Since adopting the act, California courts do not take into consideration which party is “at fault” or responsible for instigating the divorce. The courts now simply recognize only two grounds for dissolution of marriage: irreconcilable differences or incurable insanity. Because of this “no-fault” system, introducing facts about how the other party is more “at fault” for causing the marriage to breakdown won’t result in a more favorable judgment. Courts can take into consideration many factors when reviewing a divorce or making orders, such as spousal support, following a divorce. However, facts about the fault of either party for causing the dissolution of marriage alone are insufficient to obtain a favorable court order. I have seen cases where a faithful spouse still had to pay child support and spousal support to their cheating partner. I have also seen the court order the faithful spouse to pay the attorney fees of the cheating partner. While that may not be fair, judges are bound by the law and must follow said laws when making decisions about the case. It is important to talk to an attorney about what information and evidence can be used to help your case and to make sure that you know your rights and obligations under the law. If you have any questions, we would appreciate the opportunity to answer them for you.